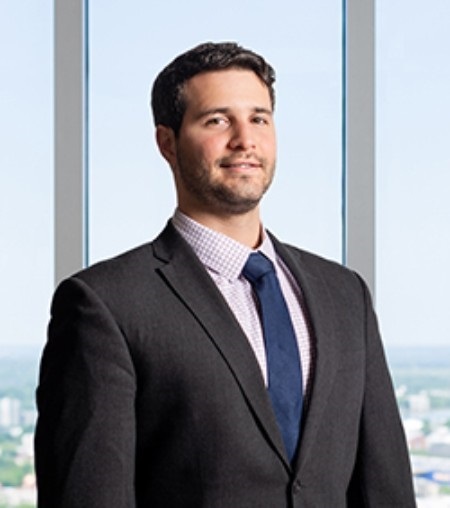 Dan is an associate in the Corporate practice of Krevolin & Horst. Dan represents growth companies in a wide range of transactional fields, including venture capital and private equity investment; banking and secured finance; mergers and acquisitions; joint ventures; real estate purchase and leasing; and technology and software licensing. Dan provides creative, responsive, and efficient legal assistance to technology startups and other closely-held companies seeking capital formation at any stage of funding, and he drafts and negotiates equity compensation contracts, employment contracts, and other related commercial contracts on their behalf. Dan also represents lenders and borrowers in a variety of secured finance transactions, including asset-based lending, cash flow lending, mezzanine lending, and acquisition finance. Additionally, Dan provides counsel to charter schools, representing schools in real estate, secured finance, and commercial transactions. He leverages his background as a former elementary teacher with Teach For America to provide practical solutions that are tailored to the needs of his clients in the education field. He also draws upon his experience as a founding board member of The Community Academy for Architecture and Design, a charter school in Stone Mountain, Georgia. Dan earned his undergraduate degree from Harvard University in 2011 and his J.D. from the University of North Carolina School of Law in 2016. Before joining Krevolin & Horst, Dan was an associate at a national AmLaw 100 law firm.